Ulta cosmetic bag. 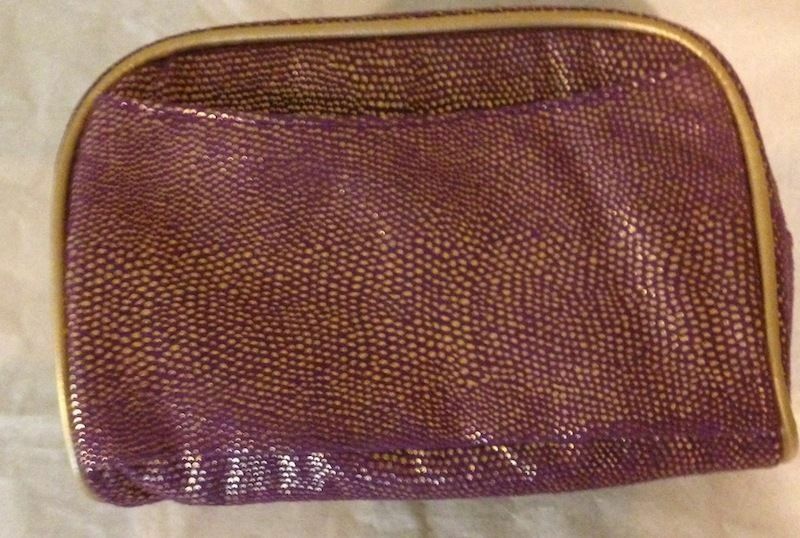 It is purple fabric embossed with gold speckles. The top is rimmed with gold trim. The bag has a zipper top closure, and is lined with purple fabric. One side has a self slip pocket. The bag measures about 8" x 5.75" x 2.5"